Camión articulado Pegaso Troner 1240-40, transportes istisua de 1993. Articulated truck Pegaso Troner 1240-40, transports istisua 1993. Mint condition. From Semi-remorques trucks collection. Few units made. Good luck! CAMIONES PEGASO. GASTOS DE ENVÍO. TARIFAS RESTO DEL MUNDO. REST OF THE WORLD. ENVIOS RESTO DEL MUNDO. HASTA 2 KILOS. HASTA 1 KILO. HASTA 0,5 Kilos. ENVÍOS A PORTUGAL. ENVIOS A PORTUGAL. ARTÍCULO NUEVO EN SU BLISTER ORIGINAL. HASTA 2 KILOS. HASTA 1 KILO. HASTA 0,5 Kilos. TARIFAS RESTO DEL MUNDO. REST OF THE WORLD. ENVIOS RESTO DEL MUNDO. ENVÍOS A PORTUGAL. PEGASO 1060 (Cabezón). CAMIONES PEGASO. GASTOS DE ENVÍO. 1 PEGASO TRONER 1240-40 TX. (ESCALA 1:43). N ew in box. ARTÍCULO EN SU BLISTER Y CAJA ORIGINAL, EN PERFECTO ESTADO. HASTA 2 KILOS. HASTA 1 KILO. HASTA 0,5 Kilos. TARIFAS RESTO DEL MUNDO. REST OF THE WORLD. ENVIOS RESTO DEL MUNDO. ENVÍOS A PORTUGAL. Escala 1/43 - IXO (ALTAYA). ARTÍCULO NUEVO EN SU BLISTER ORIGINAL. HASTA 1 KILO. HASTA 0,5 Kilos. TARIFAS RESTO DEL MUNDO. REST OF THE WORLD. ENVIOS RESTO DEL MUNDO. HASTA 2 KILOS. ENVÍOS A PORTUGAL. 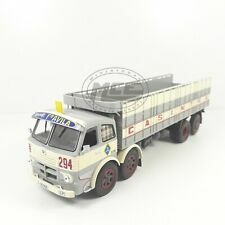 CAMIONES PEGASO DE LA COLECCION DE ALTAYA ESCALA 1/43 PEGASO 1231 T. El estado es Nuevo. Enviado con Correos: Paquete Azul.no va en su caja origuinal. 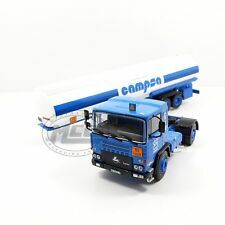 CAMION PEGASO 2011/50 - BIMBO. ESCALA 1/43. IXO ALTAYA. NUEVO EN CAJA. PEGASO 1060 CABEZÓN CAMPOFRIO. PEGASO II Z-203 MAZO. HASTA 2 KILOS. HASTA 1 KILO. HASTA 0,5 Kilos. TARIFAS RESTO DEL MUNDO. REST OF THE WORLD. ENVIOS RESTO DEL MUNDO. Very good reproduction of Pegaso 3046 of Rally Paris-Dakar (1990) on scale 1/43 of mark IXO. New in blister. Highly detailed and good quality. Nuevo en su blister. Mint condition. From the Old trucks collection. Few units made. Good luck! ARTÍCULO NUEVO EN SU BLISTER ORIGINAL. REST OF THE WORLD. ENVIOS RESTO DEL MUNDO. HASTA 2 KILOS. HASTA 1 KILO. HASTA 0,5 Kilos. ENVÍOS A PORTUGAL. ENVIOS A PORTUGAL. PEGASO 1060 "CABEZÓN" CAMPOFRÍO. - PEGASO II "MOFLETES" Z-203 - EL MAZO -FORESTAL. NOTA=SE ENVÍAN EN SU BLISTER ORIGINAL (EL PEGASO 1060 CAMPOFRÍO SE HA SACADO DEL BLISTER PARA TOMAR LAS FOTOS ,LOS OTROS 2 VIENEN EN BLISTERS SIN ABRIR). PEGASO 1060L TRADISA (1960). Escala es 1:43. PEGASO MOFLETES - 1/43. IXO / ALTAYA. Camión Pegaso 1183/70 de los bomberos de Endesa. CAMIÓN PEGASO 1231-T (TRANSPORTES FRIGORÍFICOS CAUDETE-1983). ESCALA 1/43. HASTA 2 KILOS. HASTA 1 KILO. HASTA 0,5 Kilos. TARIFAS RESTO DEL MUNDO. REST OF THE WORLD. ENVIOS RESTO DEL MUNDO. ENVÍOS A PORTUGAL. ENVIOS A PORTUGAL. 1/43 PEGASO TRONER 1240-40 TRANSPORTES ISTISUA. -INCLUYE FASCÍCULO / MAGAZINE INCLUDED. SCALE MODEL 1/43. NEW IN BLISTER. ESCALA 1/43. IXO ALTAYA. NUEVO EN CAJA. SCALE MODEL 1/43. NEW IN BOX. Pegaso Troner de la colección camiones Pegaso. Pegaso 7323 Militar Colección Camiones Pegaso 1/43. El estado es Nuevo sin abrir. Tarifa plana gastos de envío internacionales. CAMIÓN PEGASO 2011/50- TRAILER (TRANSPORTES IBÉRICOS S.A.). ESCALA 1/43. 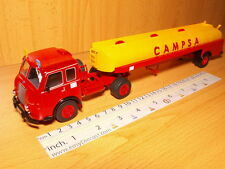 1/43 CAMION TRUCK PEGASO 1060L CABEZON TRADISA PORTACOCHES 1970. CAMIÓNPEGASO 1060L TRADISA (1970) CON SU CORRESPONDIENTE FASCÍCULO. ESCALA 1/43. 1 PIÑÓN ARRANQUE CAMIÓN PEGASO COMET , NUEVO A ESTRENAR , ORIGINAL DE LA ÉPOCA . 1 PIÑÓN DE ARRANQUE REFORZADO MARCA DECO PARA CAMIÓN PEGASO COMET , NUEVO A ESTRENAR , ORIGINAL DE LA ÉPOCA .